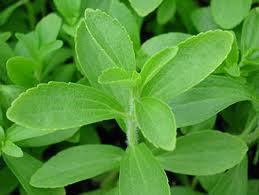 Beveragedaily.com is reporting that the artificial sweetener, aspartame is on its way out and is being replaced by the Stevia plant. After my bad experience with aspartame, this is almost the best news I have received in weeks. You might remember that with the help of Monsanto, which obtained the patent for aspartame when they purchased GD Searle in 1985, aspartame has found its way into thousands of foods, drinks and pharmaceuticals. Aspartame accounts for over 75 percent of the adverse reactions to food additives reported to the FDA. And leave it to those Europeans to lead the way in health, in 2007 UK supermarket chains Sainsbury's, M&S, and Wal-Mart subsidiary Asda, announced that they would no longer use aspartame in their own label products. You can get the rest of the story on aspartame's demise at Beveragedaily.com.